Space is limited; please contact Andrew Brown (andrew.s.brown@yale.edu) to register. A detailed program is available here. The symposium program can be found here. On the nightstand, on its deathbed; in AustenLand and on Notre Dame; serially and on cereal boxes: the book is always situated materially within its and others’ times. This year’s symposium examines the intersections of time and the book, exploring the relationships of time and materiality in the life of books as objects. Some themes include: the co-existence of timeframes and time-scales within the lives and critical lives of the book as object; the circadian and palimpsestic lives of books; their imagined pasts and futures; the differential aging of materials and material structures within them, and of social structures without; and the changing identities or values of books, or structures or perceptions of books, over time. 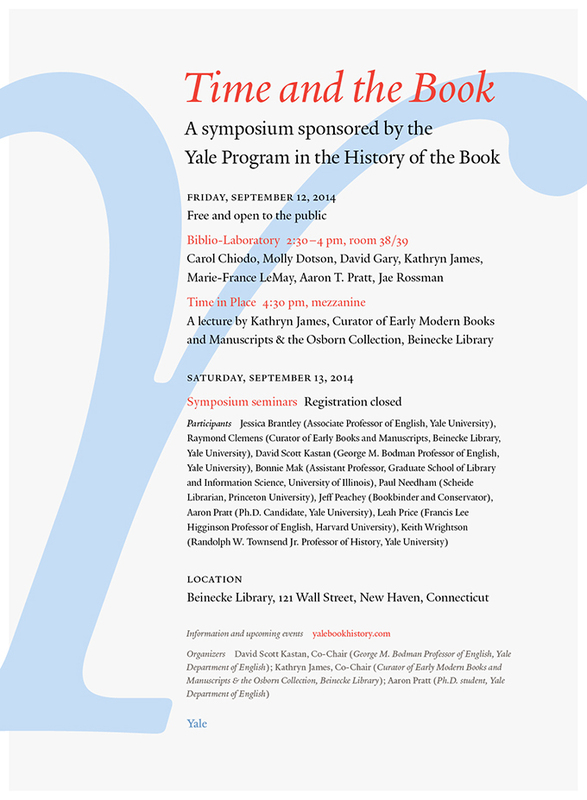 The symposium will begin on Friday at 2:30 with a Biblio-Laboratory, held at the Beinecke Library in rooms 38-39. It will be followed at 4:30 by a keynote lecture and reception on the Beinecke Library mezzanine. Friday: All events are free and open to the public. Saturday: Registration is now closed. If you have questions, please contact Aaron Pratt (aaron.pratt@yale.edu). This symposium will examine how meaning has been and continues to be organized around the material structures of the book — those conceived in manuscript, print, and new media. It will begin on Friday afternoon at the Beinecke with a “Biblio-Laboratory,” which will highlight particular questions or points of instability in the relationship between structure and meaning in book history. Drawing objects – with their elusive, resistant qualities – into the discussion of objects, the laboratory frames discussion around the relationships that articulate the textual artifact as focus of research. 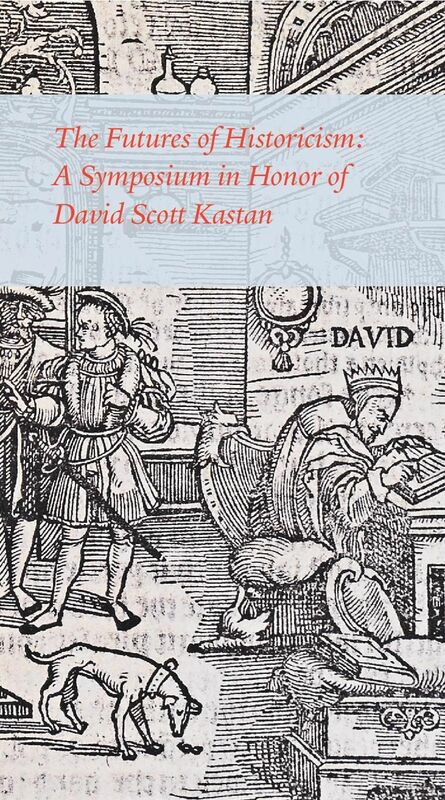 After this, David Scott Kastan will deliver the symposium’s keynote, which will be followed by a reception. We will then gather at the Yale Department of English on Saturday for three seminar sessions, each centering on short, pre-circulated papers from panelists that respond to a set of organizing questions. Seminar chairs will provide introductory comments, launching discussions that aim to get at what are arguably the central questions asked by what has become known as the History of the Book: how do the forms in which texts are physically constituted and circulated affect their meaning, and how might these forms affect the very texts that are written and transmitted in the first place?